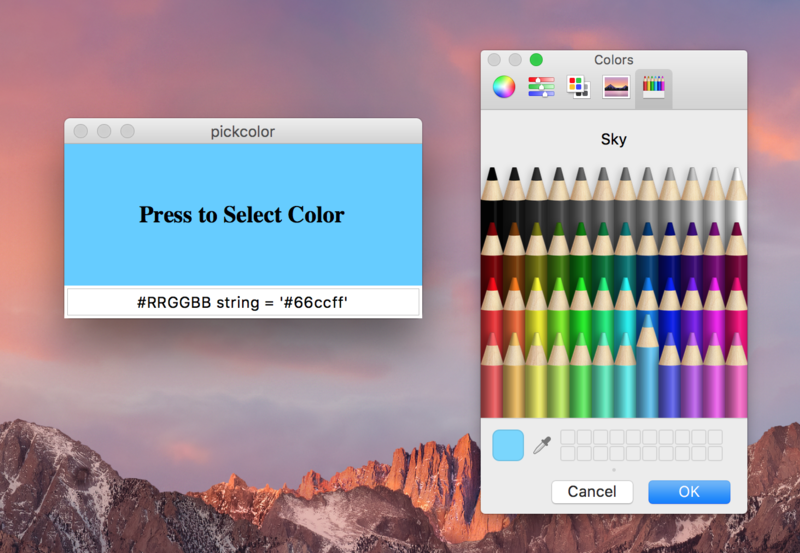 This is pickcolor — a GUI that maps colors to and from their RGB strings. With this simple script you can select a color using your platform's color-chooser dialog, and get its #RRGGBB hex string to copy/paste into whatever configuration context you wish (ctrl or command + C to copy). 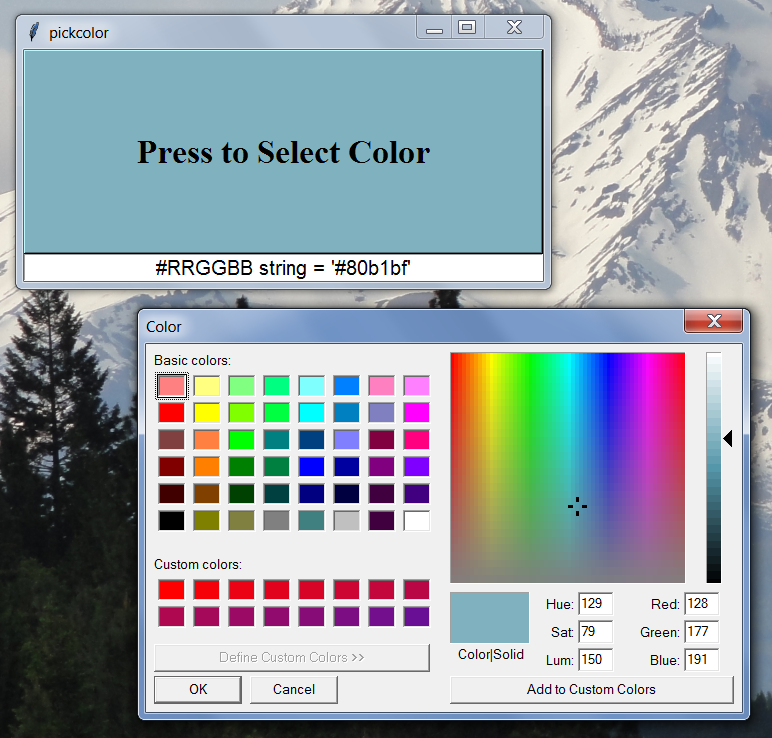 Update, June 2017: you can now also enter a '#RRGGBB' hex string (with the quotes) in the input/display field at the bottom of the window, and press Enter/Return to see the color it produces. That is, you can now go both from color to RGB string, and from RGB string to color. There are other ways to do this sort of thing, but this one works anywhere that Python and Tk do too. Originally from the frigcal progam, which allows all its colors to be tailored in Python-coded config files; all other major apps at this site now do too.